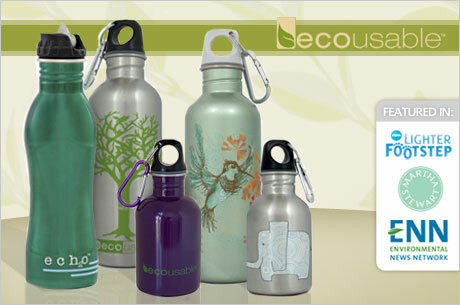 As low as $15 for $40 Gift Certificate to Ecousable Water Bottles!! Remember the review and giveaway Veronica did for Ecousable Water Bottles? Well now it's todays Eversave deal! You can get $40 worth of water bottles and accessories for $20! When you sign up you'll get a $5 credit. $15! I really want one for my daughter. The plastic water bottles I have now for her are worthless. This deal is redeemed online so anyone can buy. Looks like you do have to pay for shipping.